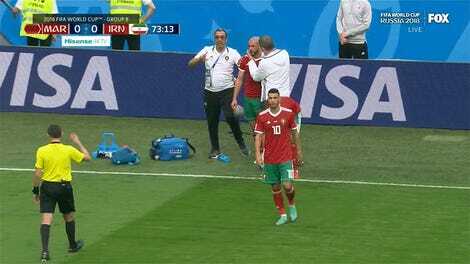 Iran and Morocco were locked into a tense scoreless draw for over an hour and a half until Moroccan striker Aziz Bouhaddouz broke the deadlock with a brilliant header to the near post in the fifth minute of injury time. Unfortunately, it was past his own keeper. 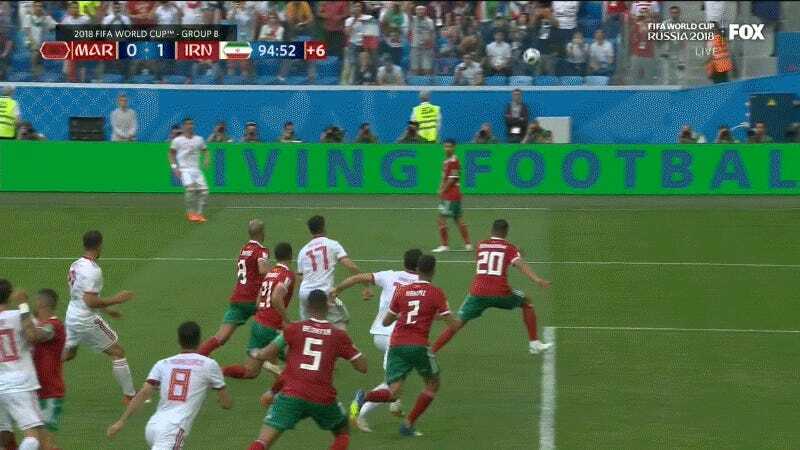 The 95th minute winner gave Iran their first World Cup victory since 1998. If there’s any justice in this world, they’ll sneak past Portugal and send Ronaldo packing in the most embarrassing possible way.